Find out how to use Epic Meaning to engage employees and transform your organisation by creating a sense of purpose at work. Epic Meaning has a little to do with defeating ice-dragons, and a lot to do with creating a sense of purpose. So, join me to discover what Epic Meaning is and how it can transform your organisation. It’s fair to say, I had a few epic wins this weekend. I did some immense DIY to complete my lakeside lodge, made a magical cape, and defeated an ice-breathing dragon! OK, so my achievements were all in the virtual world of Skyrim. But I can assure you, my triumphant fist pumps were 100% real (much to the dismay of my kids!). My engagement, drive, and victorious feeling was all thanks to Epic Meaning. Deliver the most exciting and effective learning program the world has ever seen! Epic Meaning is that sense of purpose that fuels our passion for a cause – whether that’s our day job, an all-night gaming marathon, or inventing the next best thing since Fidget Spinners! So, let’s find out more about how you can harness the power of purpose to change behaviour and transform your organisation. Just like gamers, we all want to change the world! This is what Epic Meaning is all about – a sense of purpose that drives us to do something that matters! In short, Epic Meaning is our desire to be superheroes! So, how does Epic Meaning feel when it comes to the workplace? Well, remember how Dr. Louise Banks in Arrival went from watching helplessly as UFOs invaded Earth, to using her linguistic skills to connect the dots (literally) and save humanity? That is Epic Meaning in the workplace! Creating Epic Meaning at work is about showing each employee how their personal brand of awesomeness is essential to achieving the company’s mission. Make your employees feel as important as Dr. Banks – because they are! Show them how they can use their skills to change the real world! Feeling like a superhero is all well and good, but what about the business benefits? Here’s why a sense of purpose at work, is good for business! Research shows today’s employees are motivated by work that gives them a sense of purpose. So, whether your employees are on the shop floor or C-suite, make sure they understand how they contribute to the wider company mission. This matters because nurturing employees’ sense of purpose increases employee engagement. In fact, research shows 73% of employees who report working for a “purpose-driven” company are engaged. 70% of business executives say embracing the company mission boosts employee productivity ‘to a great extent’. Why? Because creating a sense of purpose gives employees the knowledge to excel in their role. Understanding the company goals helps employees better prioritise tasks, solve problems, and innovate. On the other hand, a lack of purpose and role ambiguity is a common cause of workplace stress. So, help keep your staff stress free and focused by making the purpose of their work clear. This is important because happy employees are 12% more productive. If your employees don’t understand your company mission, then your customers definitely won’t. 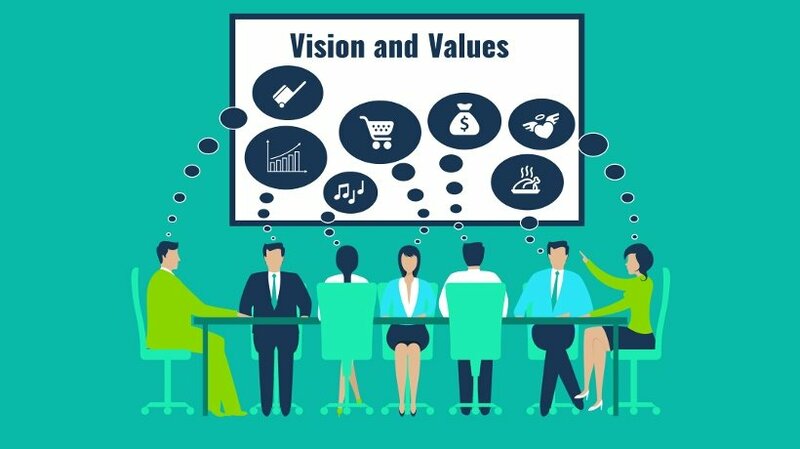 Giving employees a clear sense of purpose at work makes them better able to communicate the company mission and values to customers. Employees with a deep sense of purpose will help keep customer satisfaction high and spread the love for your company’s world-changing mission! Our work plays a massive role in giving our lives meaning. Everyone wants to feel proud of how their work is helping change the world. But what happens if your employees don’t understand the value of their job or no longer believe in the company mission? Eventually they will leave. To hold onto your talent pool, nurture Epic Meaning throughout the organisation by recognising the vital role each employee plays towards the company goals. Here are just a few of the ways you can use learning technology to create Epic Meaning within your organisation. Use engaging online training to communicate the company’s mission, goals, and values to the staff at every stage of the employee lifecycle. Remember, Epic Meaning is the desire to do something that matters. So, whether staff is learning about a new product, developing their customer service skills or doing a leadership course – make it clear why their personal development benefits the wider company mission. Whether we’re trying to level up in Final Fantasy, unlock a new Fruit Ninja sword or gain good feedback at work – we all like to receive rewards! This is because recognition feels good and fuels our sense of purpose. 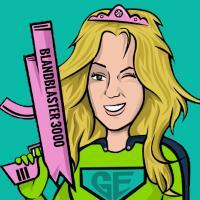 Use gamification to reward employees for helping to change the world! You can award staff points, badges and rewards on the company LMS. Give each reward heaps of Epic Meaning by making it relevant to both the employees’ personal achievements and the wider company mission. We often derive meaning about our lives, identities, and goals from others. So, it’s no wonder that research shows 76% of people say peer praise is extremely or very motivating. You can harness this peer power and create Epic Meaning with social features on the LMS. Give employees the opportunity to communicate, celebrate each other’s successes and offer feedback on the message boards and live chat. This way, employees can socialise online to create their own Epic Meaning! This week, I may not have answered the meaning of life, but I have explored the entirely more exciting power of purpose! I hope you’ve found these tips super meaningful and are eager to use them to transform your organisation with Epic Meaning. 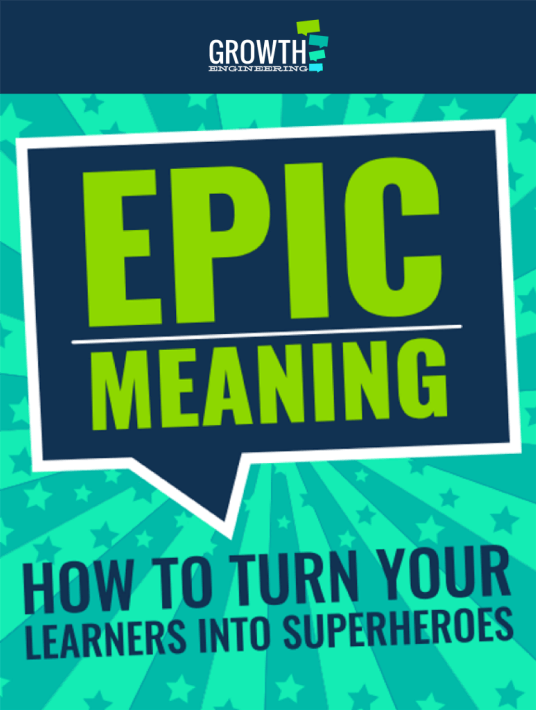 If you want to learn more about this fascinating topic, download the free eBook Epic Meaning: How To Turn Your Learners Into Superheroes.